I can rattle off statistics, I can tell you the spiel, but the most important thing I can share with you about life insurance is a true story about my family and how ironically the first death insurance claim that was ever made was that of my father. We often hear stories of tragic accidents hoping and often believing that ‘things like that’ will never happen to us, however life has a frustrating way of turning plans on their head and delivering the unexpected. There’s nothing we can do about it. Although, we can prepare. It was November 1989 and I was three years into my career as a Life Insurance Agent in Darwin. 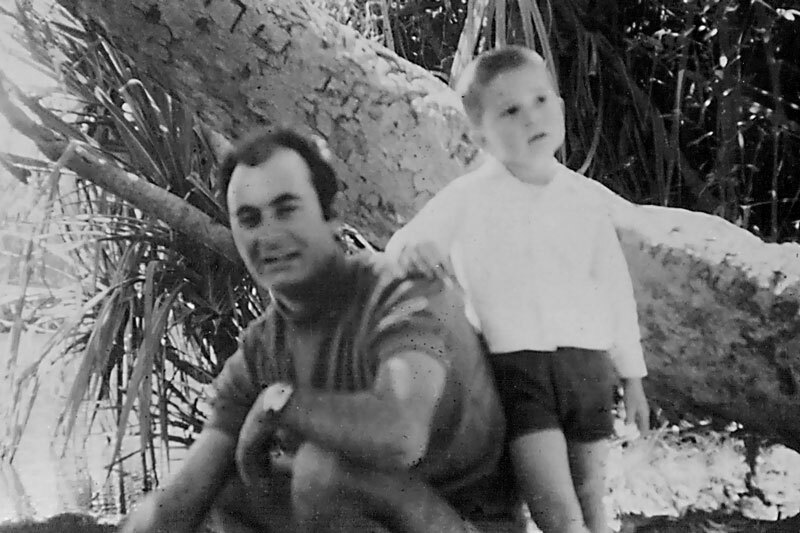 My Father ran his own construction business, he was carrying debt and didn’t have the appropriate insurance covers in place at the time let alone have a succession plan for the business. He had a Will, however, that doesn’t terminate your personal guarantees to the bank on death; it just transfers them to your estate for someone else to sort and inherit! You could call my Father a difficult prospect however after a few conversations he begrudgingly agreed to proceed with the application for the insurances. The insurance company came back and proposed a medical loading due to certain conditions he wasn’t aware of, nothing critical but typical of a person of his age. The underwriters were prepared to take him on with a 200% loading, so I approached him and explained the circumstances, he objected. I saw his wife (my mum) and explained the problem, she understood the importance of this and said, “Leave it with me, I’ll sort him out.” The cover was then put in place and everything was fine. 18 months later in July 1991, it was a Monday morning, I was at home when I received a phone call from my sister who was my PA at the time. She said that our Father had been killed in a car accident. I was numb; it’s something one cannot comprehend when one hears words spoken like that. When my mind moved to take practical action I realised I was to process the first life insurance claim for the business. I always thought the first claim might be upsetting, but I never imagined it would be for a family member. Had we not had those conversations about future planning, had mum not convinced dad to take the cover, life would have been so different for my mum and my family after dad’s passing. With the right cover in place, my father’s income was covered, mortgage payments were made, funeral costs were covered, and most importantly there were sufficient funds for Mum to maintain her simple standard of living. Coming through the other side of this tragic event, I learned that although money is important to enable us to live the lifestyles we desire, life is so very much more than just money. I was 26 years old when my father passed and this is a philosophy I’ve carried through both my personal and professional life and something that I remind my friends, family, staff and clients of all the time. While one of the important lessons to learn from this story is to ensure you have the right insurance coverage, the other important lesson is to ensure you live your best life now and don’t get caught up in ‘busy-ness’ forgetting why and what you’re working so hard for. Any advice in this publication is of a general nature only and has not been tailored to your personal circumstances. Please seek personal advice prior to acting on this information. Before making a decision to acquire a financial product, you should obtain and read the Product Disclosure Statement (PDS) relating to that product. Opinions constitute our judgement at the time of issue and are subject to change. Neither, the Licensee or any of the National Australia group of companies, nor their employees or directors give any warranty of accuracy, nor accept any responsibility for errors or omissions in this document.